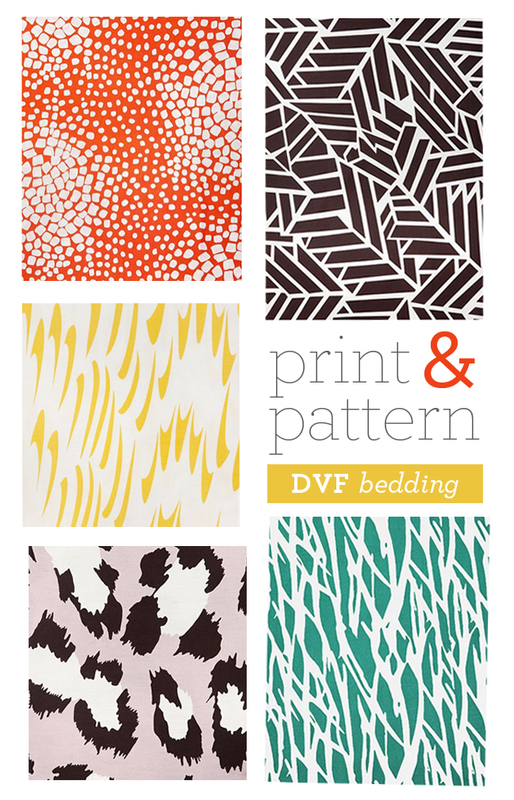 As lovers of fashion AND pattern designers, it goes without saying that we have been huge fans of Diane von Furstenberg for a long time. Her eye-catching, bold, colorful prints that were made so famous on her iconic wrap-dresses have been such an inspiration to us – so you can imagine our excitement when DVF entered the world of home accessories! All of these fab prints are duvet covers from her bedding line! Kinda makes you want to spruce up the bedroom, doesn't it?